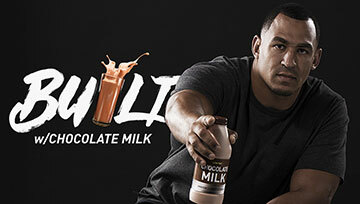 By teaming up with the Dallas Cowboys as their Official Nutrition Partner, Dairy MAX has the opportunity to reach consumers in a big way. 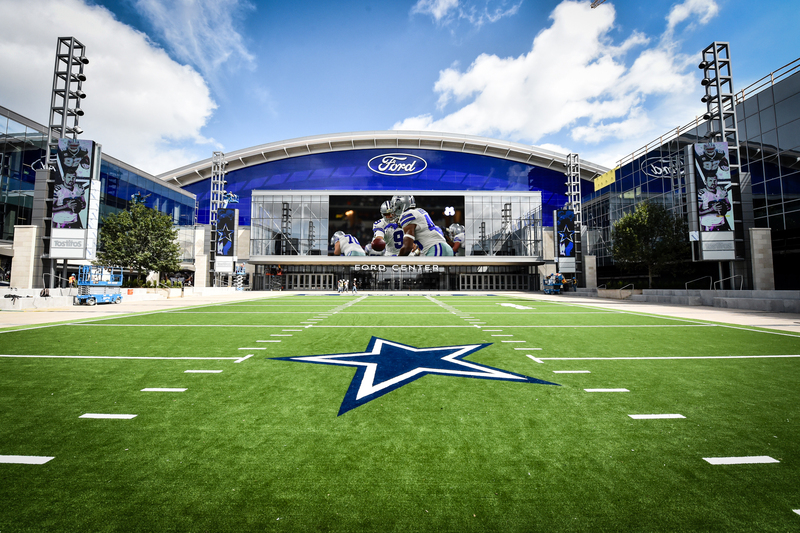 The Dallas Cowboys partnership at The Star in Frisco lets us broadcast and amplify our dairy messages to over 300 people each day, while ensuring the nutrition message is primarily about dairy. 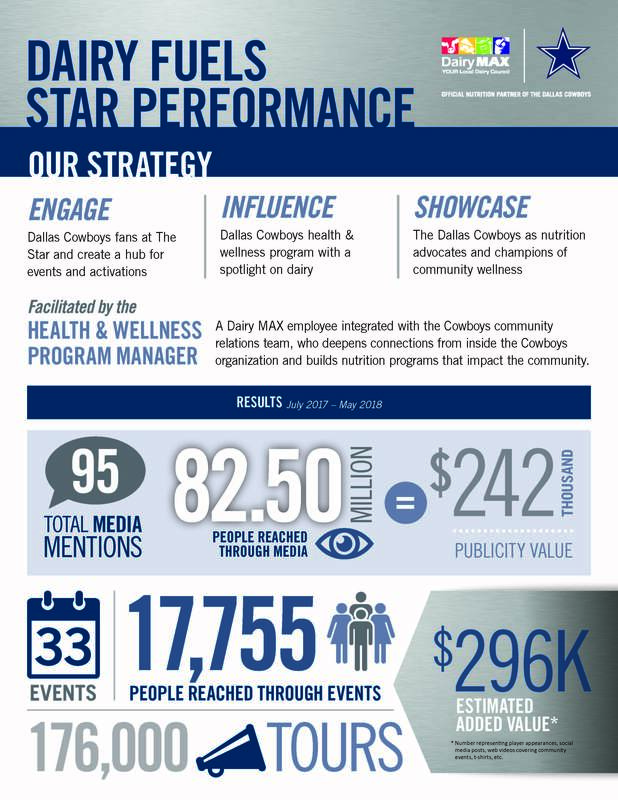 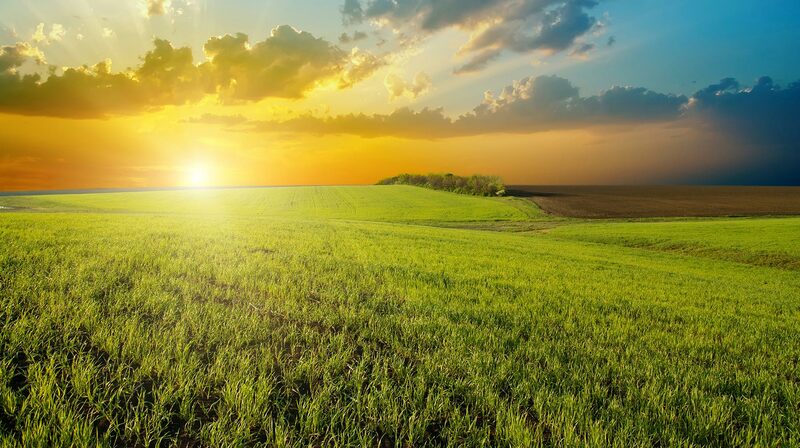 Engaging with fans, influencing the Dallas Cowboys health and wellness program with a spotlight on dairy, and showcasing the Dallas Cowboys as nutrition advocates are ways Dairy MAX is driving results.